Two words cover almost every aspect of the AF Suave, smooth and silky. That description pretty much sums up how the cigar looks in hand and how the flavors hit your palate. Being a big fan both the AF 1 and AF 2 I can tell right out the cellophane the Suave is going to be another winner. The Ecuadorian Connecticut wrapper contains only the finest of veins and is rolled on with seamless precision. 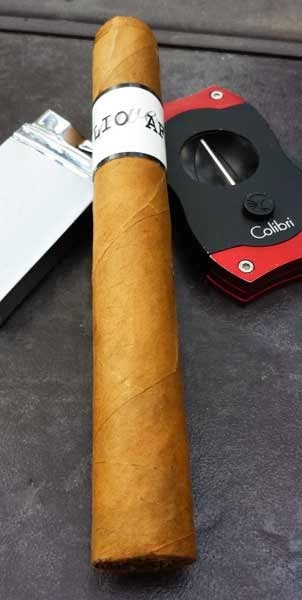 Feeling up and down the body, the cigar is packed well with no hard or soft spots to be found. Testing the foot for aromas there is a nice combination of rich tobacco, brown sugar and a hint of dried fruit. Once the slick looking triple cap as been cut, the smooth, free, cold draw contains a mix of tree fruit and spice that leaves a pleasant lingering after taste. The burning cigar produced ample amounts of silky smooth, creamy, mild bodied, smoke flavored with brown sugar and rich tobacco. 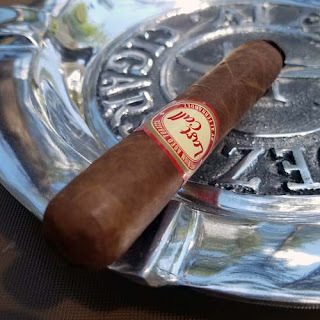 As the cigar burns toward the band, there are notes of cream, sweet tea, fruit, toast, mild black pepper, nuts, and sugar. The final third flavors finished with lots of toast, nuts and sugared coffee with extra cream. As the cigar burned away, it left a firm looking light gray ash and a razor sharp burn line that never wavered. Like I said above, smooth and silky sums up the AF Suave Toro. With a 70 minute smoking time and a $7.40 price point this cigar will be hard to beat. It's mild enough for any beginner, but the complexity should make it interesting for a seasoned veteran.